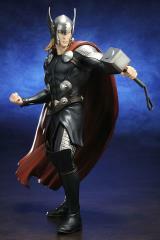 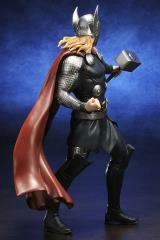 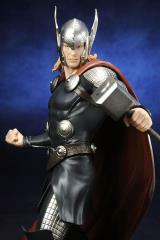 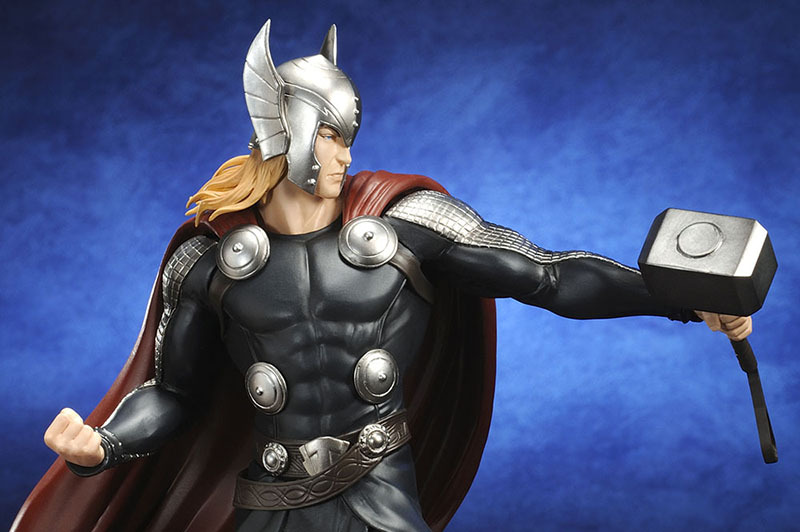 Kotobukiya presents the latest entry in their new ARTFX+ Marvel Now! 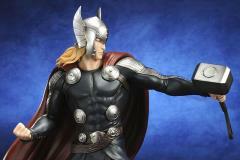 statue series. Joining his previously released teammates the Hulk, Black Widow, Captain America, and Hawkeye is the Asgardian warrior Thor. 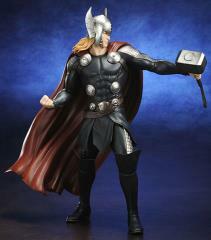 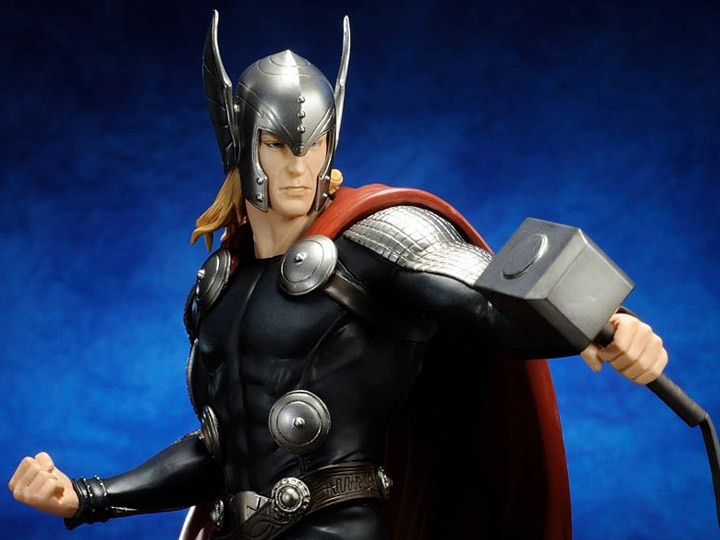 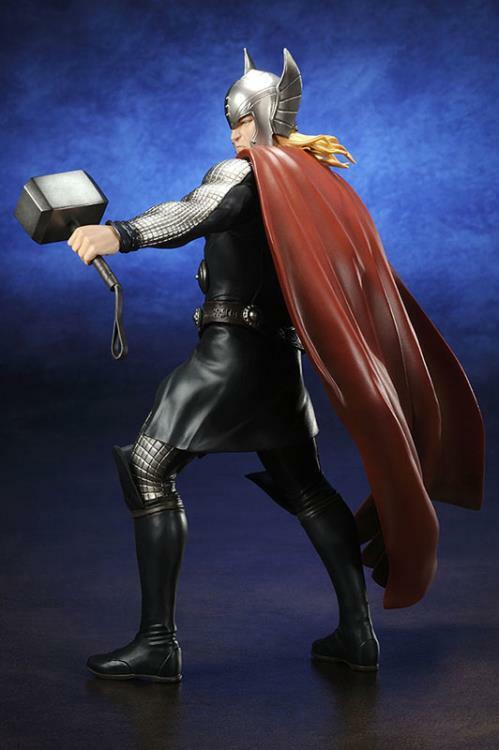 Sculpted by the same master artist who did the rest of this Avengers series, Junnosuke Abe, Thor stands nearly 8 ½ inches tall (in the ARTFX+ 1/10th scale) on his included magnetic display base. 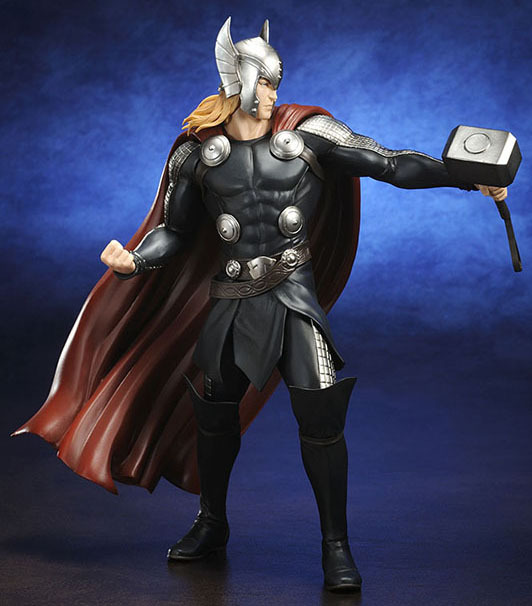 Whether by himself or displayed alongside the other Avengers in the Marvel Now ARTFX+ collection Thor is ready to lead the fight!